Experience dining options at chance level with the ‘shake and deliver’ application by UrbanSpoon. 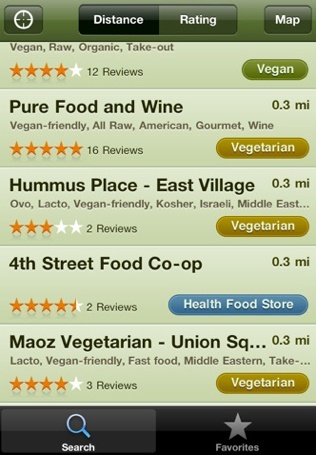 This app features a ‘slot machine’ style that devises neighbourhood, type of cuisine and price into three columns. All you have to do is set your preferences for these criterias before you shake your phone, and voila! It’s not only a great information tool but also a fun way to brainstorm ideas with your friends. 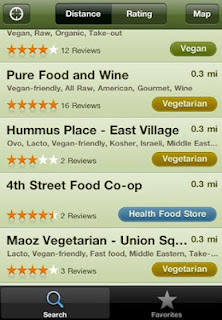 If meat isn’t on the cards for some of your guests, there is now a direct way to search for vegetarian friendly restaurants. VegOut is a comprehensive database, which can cater for the dietary requirements of all types of vegetarians. You can locate restaurants that are both local and international, which is also handy for the avid traveller. For those who want to make a last minute reservation, OpenTable can tell you which restaurants have tables available. The search feature is customised to cater for the specific size of your dinner party, and can narrow down to your desired menu to the type of cuisine you prefer. Currently this application is specific to the US, Canada and the UK, so it’s worth downloading as an emergency go-to when you travel to new and unfamiliar places. 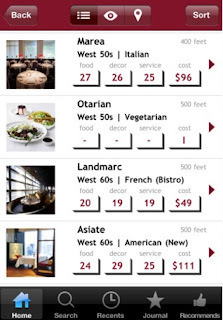 Zagat is a universal app that can filter your search to the ‘best of’ restaurants nearby. 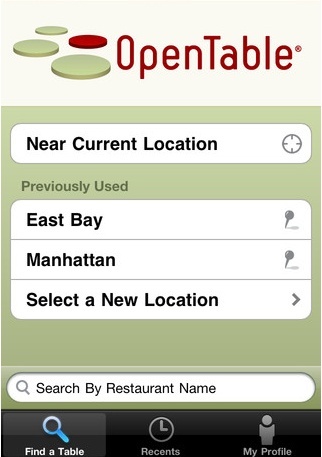 You can browse through photos of dishes, or use the app to reveal signature dishes in the restaurant of your choice. The ‘recommendations’ feature will also ensure that everyone will have a great dining experience. If you’d like to access these useful apps and discover fantastic new recipes and dining options, but do not have an iPad or tablet computer, technology rental can be a great way to check out the latest gadgets before you decide to buy outright. It’s never been easier to experience a diverse range of food and dining at your fingertips! *The apps listed are just a few suggestions for you, I have not personally used them myself. Masterchef Cookbook Giveaway - Winners!